It really looks like we’re on the cusp of a major change in transportation finance. Cities around the country are actively studying real time road pricing. And no where is the conversation more advanced than in New York, where Governor Cuomo has endorsed the FixNYC concept of charging cars entering Manhattan South of 59th Street. Recent reports from the City’s former transportation director, Bruce Schaller have shown that the growth of traffic–recently accelerated by the expansion of ride-hailing services like Lyft and Uber–is slowly strangling city traffic. Street speeds in Manhattan have fallen by a full mile per hour, which is bad enough, but what’s worse is that slower speeds have reduced the productivity of the city’s buses, driving more passengers to choose the already over-crowded subway. A system of road pricing would make a world of difference, reducing traffic in Manhattan, speeding buses, and easing the strain on the subways. A key feature of the Move NYC plan is that it would subject all private vehicles (taxis, ride-hailed vehicles, commercial vehicles and privately owned cars) to the congestion charge. Additional charges may apply to your trip, including tolls, surcharges, or other fees. These charges are automatically added to your trip fare. The wrong part is the argument about inelasticity of supply (and for that matter demand). If in fact, Uber drivers did have to pay the fee, they’d find driving in Manhattan less profitable, and would either serve other boroughs, or stop driving for ride-hailing services. (Or if the fee were flat, look to maximize the number of within Manhattan trips among which to amortize a fixed fee). But, inasmuch as the fee is likely to be passed on to passengers, it raises the cost of Uber to them (just like surge pricing) and prompts some users, at the margin, to not use Uber (so that demand is price elastic). The takeaway here is that congestion pricing will tend to reduce the use ride-hailed vehicles. 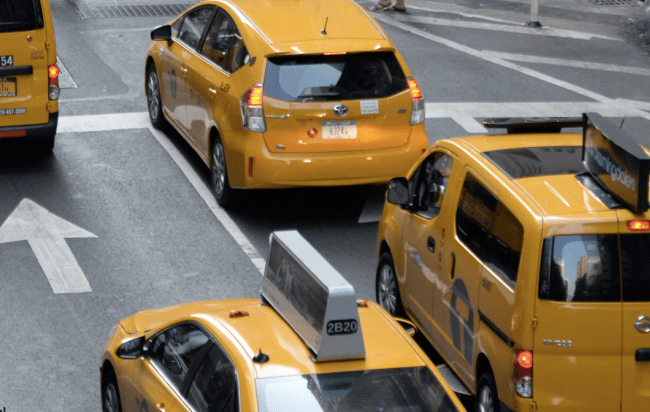 Salmon’s suggestion provoked an immediate, and spirited reply from Charles Komanoff, one of the authors of the FIxNYC plan, who argued that an Uber tax in place of a cordon toll would sacrifice a majority of the traffic relieving benefits of road pricing. Without a cordon toll to reduce 15-20 percent of car trips into the Manhattan CBD, we can kiss most of the time savings goodbye, not to mention the political support of players in the for-hire vehicle industry who will be left holding the bag. His estimates suggest that eliminating the cordon pricing portion of the plan would reduce its traffic easing effects by 60 percent (and consequently reduce revenues, which would be used to subsidize transit, by a like amount). Another key problem: as the Uber tax drove ride-hailed vehicles out of lower Manhattan, lessened congestion would attract other private vehicles, offsetting the congestion benefit. Salmon responded to Komanoff’s concerns, in a blog post calling “Taxing Uber is Easy” arguing that taxing ride-hailing is more politically palatable than charging all vehicles. “I think my idea is something which is eminently politically possible, in contrast to congestion pricing, which has been implemented exactly nowhere in the USA.” In his view, we can start by taxing Uber, and then someday later expand the tax into a full-fledged congestion charge. There are at least two key problems with this argument: First, if Komanoff is correct, the Uber-only tax won’t do much to reduce congestion, and will be used as an argument by pricing opponents that the system doesn’t work. Second, it feeds a narrative that congestion is somehow the fault solely of the ride-hailing companies, which though politically convenient, isn’t accurate. Moreover, it’s likely that FixNYC is one of those rare chances to make a big change in transportation pricing–so getting it wrong now could saddle us with a second best system for a long time. First generation road pricing systems that rely on exclusively cordon charges (as in London, Milan and Stockholm) create perverse incentives for ride-hailing vehicles to stay in the cordoned area once they paid the toll, which as Felix points out, can actually make congestion worse. But Komanoff’s preferred FixNYC proposal would include a combination of a cordon charge plus a $3-$5 charge on ride-hail trips South of 59th street, and so has at least some elements Salmon should support. It strikes us that there’s little reason to single out ride-hailed vehicles for congestion pricing. Each incremental vehicle (taxi, Uber/Lyft, delivery truck or private car) makes essentially the same contribution to congestion as it travels city streets at the rush hour. Confronting all of these vehicles with a charge that reflects the costs they’re imposing on the road system and other travelers is the optimal way to make the system run efficiently and sort how higher value, more productive uses from lower value ones. Chances to fundamentally rethink the way we pay for road systems come along about once every century or so. In the horse and buggy era, we didn’t finance roads with a hay tax. The gasoline tax was invented in the nineteen-teens, but clearly its days are numbered. As we’ve argued, even a “dumb” vehicle miles tax is a half-step in the direction of a road pricing system that embraces readily available technology and achieve maximum results. This post has been revised to correct a broken hyperlink.